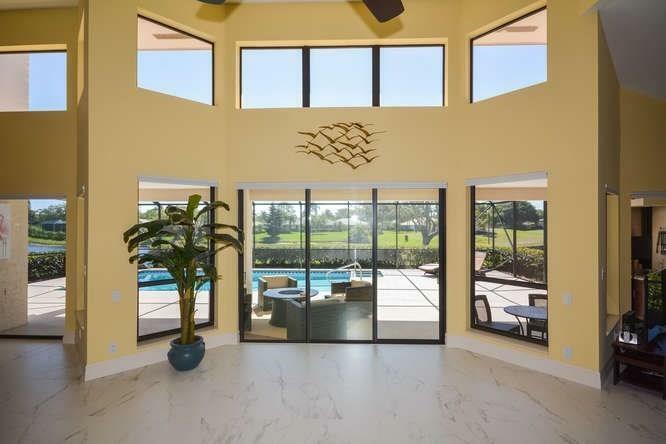 This remodeled home at Piper’s Landing Yacht & Country Club offers many special features–golf course and water views, plus a private swimming pool. Located at 4432 SW Dundee Court on a quiet cul-de-sac, it is especially made for easy entertaining with a gourmet kitchen, lanai, outdoor grill and pool. With over 2,348 SF of living space, guests and friends will feel comfortable and welcome. Send me more about this home at Piper’s Landing! The total number of residences at Piper’s Landing is limited to 270 homes and 32 condominiums–a perfectly sized community. Every lot is generously sized from a minimum half-acre to an acre-plus. Send me more about this home at Piper’s Landing! The basin is your starting point for a cruise into the Indian River Lagoon and onward to a section of the Atlantic that’s known as the Sailfish Capital of the World. Send me more about this home at Piper’s Landing! Real estate offered includes waterfront homes, custom homes, golf homes, courtyard villas, cottages and lakeside condominiums. Prices begin in the $100,000s (courtyard villas, cottages and condos) and range up to $1 million+ for homes. Waterfront homes feature sloping lawns which lead right up to private waterfront moorings. Send me more about this home at Piper’s Landing!